The Lesotho Highland Water Project Phase 2 is being co-financed by the AFDB and is a bi-national project between the governments of Lesotho and South Africa. The African Development Bank invites expressions of interest by 3 September from consultants to act as lenders’ technical advisors for the Lesotho Highland Water Project Phase 2, which is being carried out through the Trans-Caledon Tunnel Authority and implemented by the Lesotho Highland Development Authority. The African Development Bank and New Development Bank are planning to co-finance the project and seek a technical advisor to support due diligence before financial closure. The services to be provided will include appraising the technical, operational and commercial aspects of each component of the project, including: review of the feasibility and design; financial and economic viability; procurement; legal, environmental and social; and, governance and project management, as wel as producing a full due diligence comprehensive report. The estimated duration of services is six weeks, with an expected start date of 1 October 2018. The bi-national project between the governments of Lesotho and the Republic of South Africa entails harnessing the waters of the Senqu/Orange river in the Lesotho Highlands through the construction of a series of dams to provide water to the Vaal river system in the Guateng region of South Africa and to generate hydroelectricity for Lesotho. 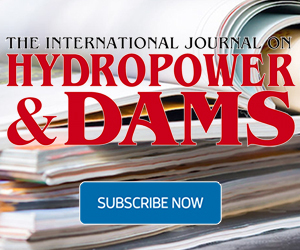 Phase II comprises a water transfer component to augment the delivery of water to South Africa from the current supply rate of 780 x 106 m3 a year incrementally to more than 1.26 x 109 m3 a year, through the construction of the Polihali dam (a 165 m-high concrete-faced rockfill embankment dam), a 50 m-high saddle dam and a 38 km-long water conveyance tunnel from the Polihali reservoir to the Katse reservoir, and a hydropower component to increase electricity generation capacity in Lesotho and help meet the country’s electricity requirements. The hydropower component proposes the development of the 1200 MW Kobong pumped-storage scheme, using the existing Katse reservoir as the lower reservoir and construction of a new upper reservoir in the Kobong valley. This would involve construction of the 101 m-high Kobong dam and a 6.3 km-long power tunnel. 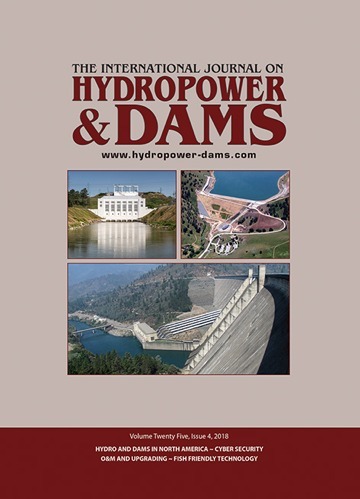 The hydropower component is not part of the lenders’ financing scope. Commencement of the Phase II work began in October 2013. It is expected to be substantially complete by the end of 2024. Phase I consisted of the construction of the Katse and Mohale dams and the 72 MW Muela hydropower station. It was split into Phases 1A and 1B, with 1A being Katse dam and the transfer tunnel to Muela and 1B being Mohale dam and the diversion tunnel to Katse. Phase I was completed in 2003 and inaugurated in 2004. Interested eligible consulting firms or associations of consulting firms shall provide information on their qualifications and experience demonstrating their ability to provide the services (documentation, references for similar services, experience in comparable assignments, availability of qualified staff and so on). Expressions of interest must be submitted no later than 3 September 2018 at 12.00 hrs local time and specifically mentioning Lenders’ Technical Advisor for Lesotho Highland Water Project Phase 2 by email for the attention of Mecuria Assefaw and Eskendir A Demissie, Agriculture, Social and Industries Division (RDGS2), African Development Bank, 339 Witch Hazel Street, Highveld Extension 38, Centurion 0157, Pretoria, South Africa.